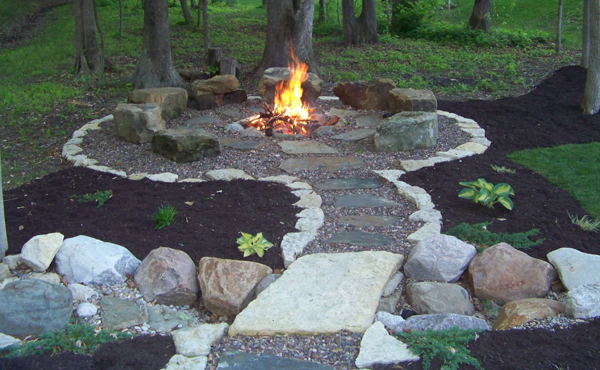 Nothing compliments a back yard setting like the dancing light of a fire. 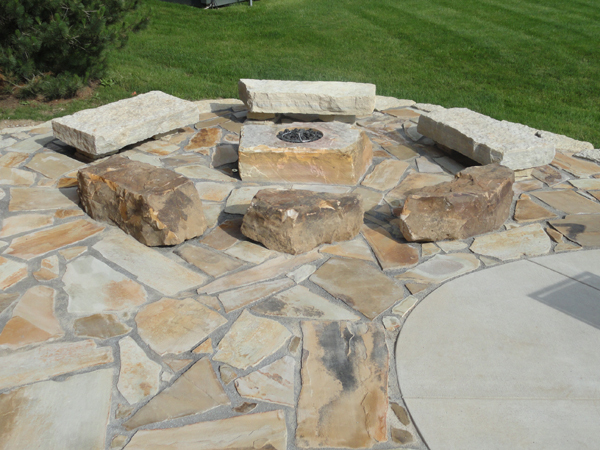 Our fire pits with seating areas come in all shapes, styles, and sizes. 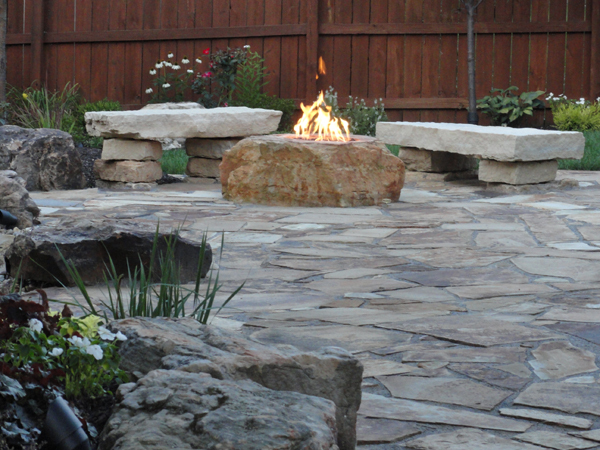 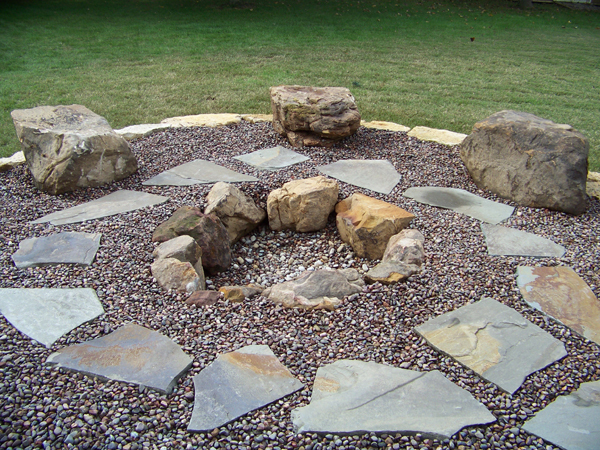 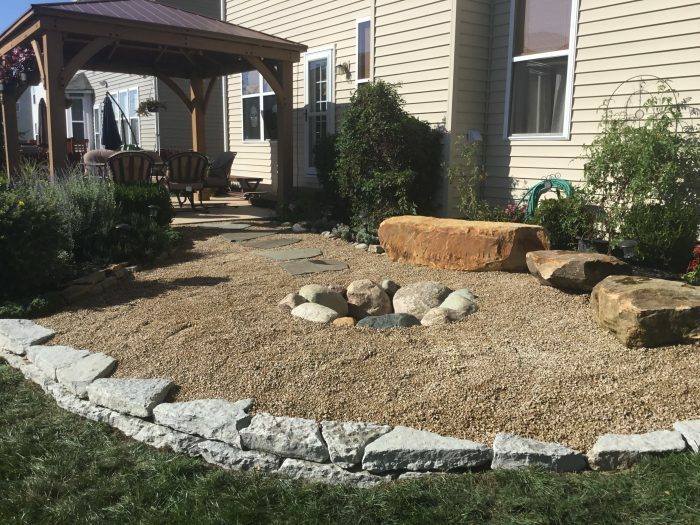 A fire pit area with stone benches or sitting boulders gives you more seating for gatherings even when a fire is not desired.